Police in Illinois use a variety of tools to apprehend suspects, including animals. Police dogs are often well trained animals, but some officers improperly order their animals to bite suspects, causing unnecessary harm to potentially innocent individuals. 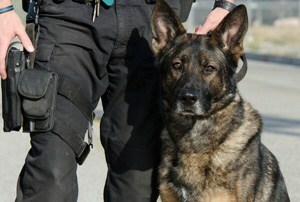 K-9 unit dogs are often mid-to-large breeds that cause significant injuries to a suspect. Most Illinois patrol dogs belong to the German Shepherd or Belgian Malinoi breed. Labrador and Retriever breeds are typically used for explosives and drug investigations. When police dogs attack, they can cause severe lacerations to an individual-s limbs and even break bones in some instances. One North Chicago man recently suffered a broken calf bone after an officer allowed a police dog to maul him. K-9 dog injuries are unacceptable and often an indicator of excessive force. At Goldberg Weisman Cairo, our attorneys work with a variety of experts to determine whether an officer-s use of a dog to apprehend a suspect was appropriate or resulted in unnecessary injuries. We use a team of medical and forensic experts to determine the full extent of a client-s police dog bite injuries in order to help our clients maximize their potential recovery.